As you know, ABCI encourages everyone from the CEO to the line personnel and reception desk to get involved in marketing. But there are few things that are just not do-it-yourself projects anymore! 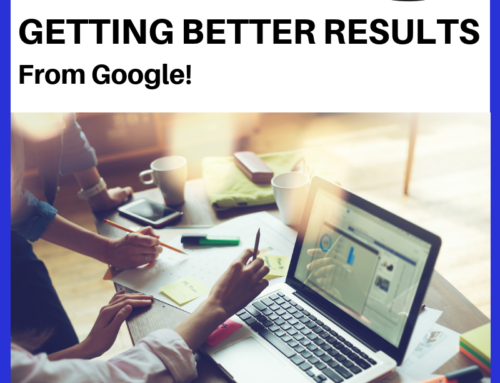 Search Engine Optimization, or the process of getting more traffic to your website from search engines like Google, Bing, and Yahoo is no longer really one of them. There are things you CAN do to get more traffic to your website, but here are five things that many people get wrong! Transcript – How to Get Attention on the Web – What DOESN’T Work! 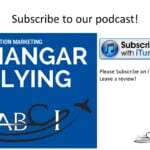 Paula Williams: Welcome to Aviation Marketing Hangar Flying Episode 39. 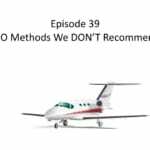 Today we are talking about SEO methods we don’t recommend. So I’m Paula Williams. 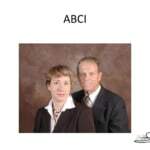 Paula Williams: And we are ABCI, and ABCI’s mission is. John Williams: To help you folks out there sell more stuff in the aviation industry. Paula Williams: Exactly. All right, so please do comment and join in our conversation we get our best ideas from our clients and also from our listeners. 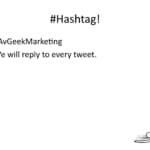 So you can use the hashtag #AvGeekMarketing and we will reply to every Tweet. You can also get in touch with us on Facebook, LinkedIn, Twitter, Instagram, all the usual places, right? And also you can make leave comments on our website. We love that even more for reasons that we’ll explain later. Paula Williams: Have to do with SEO exactly. Okay, so website basics. We talked about this in the last episode as well. You have to have a website anyway, right? Because 78% of prospects will look you up online before agreeing to meet you, even if they found you some other way like a mailer or a trade show or something else. John Williams: Now, wait a minute, I thought the last time you said 79%, why did it go down? John Williams: So you rounded up last time and this time you you rounded down. Paula Williams: I rounded down. A lot more prospects will look you up, online before agreeing to meet with you even if they received a mailer, okay? So if you have to have a website that might as well be as effective as possible. And how do we know if a website is effective? John Williams: It better be ringing in qualified leads. Paula Williams: Absolutely, leading to sales. 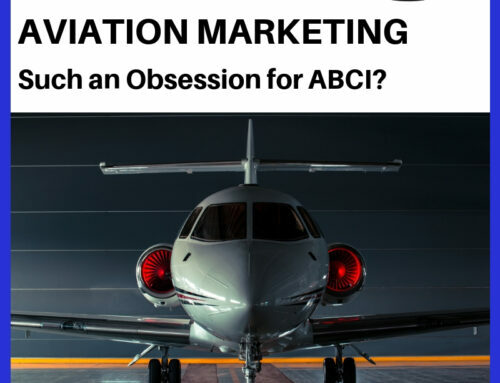 Now you can’t expect a website to actually make sales in most of our businesses because we’re doing complex products and services in the aviation industry that requires some human interaction, that the website should be bringing you qualified leads, right? Paula Williams: Okay, fantastic, so here are the things that we don’t recommend, right? Paula Williams: Okay, SEO for the wrong key words and we’re going to go into a lot more detail about each of those things. SEO for the wrong locations, you’d be amazed how many people do this. Or SEO for the world when you don’t sell worldwide. Paula Williams: Doing SEO yourself. We did this until this year. John Williams: That’s right, and then we realized just how badly we were doing it. Paula Williams: [LAUGH] Exactly. Banner ads. John Williams: It’s pretty much worthless. Paula Williams: And pay-per-click which actually is useful for some very specific situations which we’ll talk about but people overuse it. John Williams: Yeah, it’s way too expensive, it’s gone up double or more in the last six months, so. Paula Williams: Right, exactly. 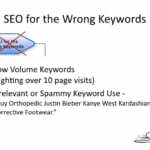 So to start in, the first one that we talked about, SEO for the wrong keywords. So we have had situations where we have had clients want to optimize for a keyword that gets fewer than ten people visiting per month, right? John Williams: I don’t remember why that was but they did. Paula Williams: Right, well in that situation I kind of understand because it was kind of an arm wrestling thing between a guy and a competitor. He wanted to be above this other guy on this particular keyword in the search engine results. But they were essentially spending a lot of time and money fighting over a keyword that fewer than ten people were typing into Google every month. So, if you have a keyword that is so specific like landing gear elbows or something that nobody actually uses. John Williams: You’re just spending money for no reason. Paula Williams: That’s time and money that you could be spending on keywords that have a higher search volume or a better chance of getting you more qualifying prospects, right? Paula Williams: Okay, and then another one is irrelevant or spamming keywords. And this is actually a example from a marketing textbook. Buy Orthopedic Justin Bieber Kanye West Kardashian Corrective Footwear. Paula Williams: So you can see what they were trying to do there. They know that a lot of people are looking on the web for Justin Bieber, Kanye West Kim Kardashian, da da da da da da da, but they have nothing to do with corrective footwear, right? 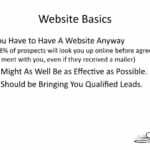 John Williams: Yeah, they do not bring you in qualified leads. Paula Williams: Exactly, so you may get more 13 year olds who are interested in when the next Justin Bieber concert is going to be in your area. But they are not going to be buying orthopedic corrective footwear, most likely, right? John Williams: Well, Google, I believe has been able to fix that nowadays, so that doesn’t even work anymore. John Williams: Even 18 months ago I think it would have worked. Paula Williams: The thinking behind it was if we get more people to our website, even if they’re completely irrelevant, then they know somebody or something. Just the law of averages is that we will end up with more people who may be interested in our product seeing our website. But the downside of that is that Google now penalizes that sort of behavior. If you put keywords that are completely irrelevant to your product or service In your media tags try to optimize for that. And not to get too nerdy here, but if you see that your SEO specialist is doing something like this, you want to fire them immediately, if not sooner. Paula Williams: And get somebody who knows what they’re doing because, if Google decides to penalize you, you may find yourself, like JC Penney did fairly recently, going from first for just about every category to the tenth page for just about every category. Because if Google doesn’t like what you’re doing, there’s no appeal, there’s no logic there’s no tricking Google. They’re smarter than we are and they have nothing better to do than to figure out how to make the search engine work better and provide more relevant results for people, right? Paula Williams: Okay, so you want to make sure that you’re searching for keywords that have a high search volume and you can find that out by looking at the Google AdWords Tool. Once again we’re going to get into how to make this easy on yourself so that you don’t have to do all the hard work. 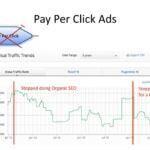 But it’s fairly simple to find out for yourself by going to the Google ad words tool and looking at how many monthly searches there are for a particular keyword. John Williams: And then when you outsource you just have to do it with a reputable firm. Paula Williams: Yes exactly, that looks at that sort of thing. And then the second thing is you want to make sure that they are using relevant keywords. And that they are not using those red herrings to try and draw irrelevant traffic to your website just to boost your numbers and make themselves look good, right? 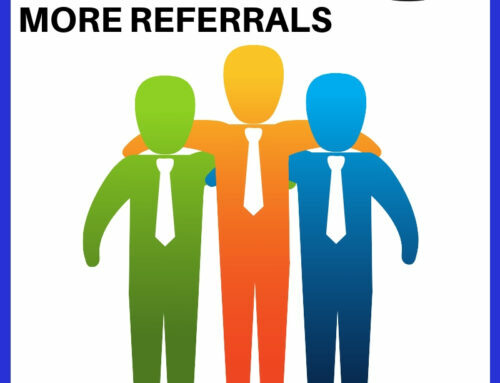 So they show you great reports showing you there’s a lot of people visiting your website. You want to ask yourself, how many of those are actually resulting in sales and if there’s not a correlation there it may be that they’re what they call key word stuffing is what that’s called. Okay, so another thing that you don’t want to do is SEO for the wrong location. Now this is our Raven Works site which was a very old site that we put together just kind of for experimentation purposes. And one thing that we discovered here is that we have a huge number of people visiting from all over the world really. Which is find because it’s an international site, but Brazil, of all places, they don’t even speak English in Brazil. [LAUGH] Right? We’d expect maybe from Australia or something like that, but here we’re getting a lot of traffic from Brazil. And what we found out was that there’s a university in Brazil that is linking to a lot of our content which is cool. But we’re not trying to sell products with that website. So if we had somebody on our staff that we were paying to do search optimization for this site and we were actually trying to sell a product or service, we’d say, you know what? This is the wrong kinda traffic, you may be getting a lot of volume, but this is not what we’re after here. Paula Williams: So, we need to focus a little bit better on where we’re getting traffic from. And that is very doable these days, you can optimize for specific locations and do something called local SEO. And especially if your company sells something that is only relevant to maybe your neighboring states. Maybe you do aircraft maintenance or something like that, and you want to be known on the east coast, or on the west coast, or in Texas, or whatever the situation is. You want to use local SEO to bring people to your site that are local to you, that are more likely to be your customers. The internet is global but they’re trying to make it more local and they’d been really effective with that in the last couple of years, right? Paula Williams: Okay, so, next ad thing that we don’t want to do. Paula Williams: Right? Banner ads, and the reason is because of two phenomenons. One is banner ad blindness, which isn’t really a visual affliction. It’s just something that has happened because of the predominance, I think, in the last few years of banner ads. And the fact that people have learned to avoid them and banner ad blockers which is software that people have on their computers. And a lot of cases that doesn’t even let them see all the pop-ups and the banners and the weird things that go on on a website. There’s been a lot of abuse, I think, we’ve all been on news sites and other kinds of things where we’ve accidentally clicked on a banner ad. And ended up in a site that was trying to sell us weight loss pills or some goofy herbal remedy for something that we never even knew existed or investment things, and other things that were not really relevant to the news story we were on, right, John? John Williams: Well, I know, and we’ve got stuff in place to prevent that as well. Paula Williams: Exactly, so 8% of users account for 85% of ad clicks on the Internet. 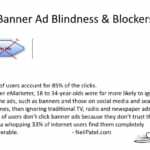 So there’s 85% of the people out there who are seeing your banner ads that don’t want to have anything to do with them. Either because they can’t see them because of their ad blocker software or because they won’t see them because of ad blindness. So, you simply tune out just like they do to commercials on TV. I know when John and I are watching TV, John will hit the mute button whenever a commercial comes on if we can’t just skip past it, because of our the way our TV is set up. So there’s lots of ways to avoid those kinds of things. 18 to 34 year olds are really really savvy at identifying and ignoring advertisements as opposed to editorial material. And they’re even more aggressive at ignoring banner ads than they are at ignoring traditional TV, radio and newspaper ads. 54% of users don’t click banner ads because they don’t trust them and a whopping 33% of Internet users find them completely intolerable. So you don’t want to be seen as intolerable or distasteful. A lot of people have made those flashing and animated and even with sound. To make them more, make them stand out in this morass of advertising on the Internet, and it’s just made them more and more obnoxious, and the escalation has gotten out of hand. John Williams: Provide you the ability to stop that. John Williams: Just as part of the toolbox. 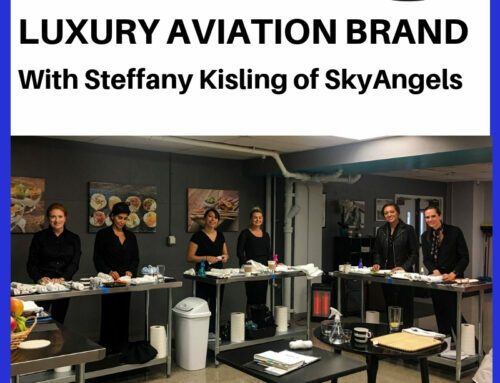 Paula Williams: Exactly, so, using banner ads can be done credibly, especially in aviation, sometimes you can, you will be offered a banner ad in addition when you place a print ad. John Williams: I’d take a look at if first to see what it’s going to look like and they can show you that. Paula Williams: Exactly, but I certainly wouldn’t be investing a lot of money in banner ads. Paula Williams: Okay. Pay per click ads. We had talked about how pay per click ads are actually helpful for some things like events. You have a hanger night or something like that where you want to get people to a specific event that’s happening next week or two weeks from now. 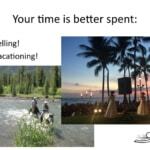 And you don’t really have time to do a print run and get things into the mail and do all of the things that we usually recommend. Sometimes we’ll recommend a pay-per-click ad because they are fast and they are effective. But they are incredibly expensive for what you get. If you put the same amount of money into search engine optimization it would be a much better value for the money over a 90-day period than a pay per click ad would be. Paula Williams: Right? Okay, and we showed this graph in our last podcast, where we talked about how organic SEO with this nice, curvy ups and downs that happen over time. So if you stop doing organic SEO, it can be one, two, three, four, five, six, seven, eight, nine, ten months before it really returns back to where it was before he started doing SEO. John Williams: It depends on a number of things. It could even happen within a month and a half. Paula Williams: But we can look at case studies where people have paid for three or six months of SEO, and had it last for three or six months or longer. So it really is a much better investment of time and money, than pay-per-click ads which are going to stop delivering traffic the very second you stop paying for them. Paula Williams: Right, okay. The other thing that happened is it used to be that when you did, bought ads from Google as an example, they had sponsored links in the top of the search engine results page and over on the right hand side of the search engine results page. They have recently gotten rid of those results on the right hand side. So what they’ve done is they’ve basically cut their inventory in half. And you have the same number of people competing for half of the ad positions, right? And that happened in January of this year. So now you have to pay a lot more for those spots, because it’s a bid system, where you bid for this keyword, your competitor bids a penny more. You have to bid more than that, and so on, so it really drives up the cost of those pay per click ads, right? Paula Williams: Okay, so paid versus organic search, a lot of people ask us about that. 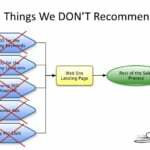 Our recommendation is almost always organic SEO unless, once again, you have an event or something like that where you just don’t have the time to do Organic SEO. Okay, next terrible thing people do. Trying to do it themselves, and we did this terrible thing, until 2015, until this year. John Williams: Sometime last year because it got so onerous. Paula Williams: Yeah, we were doing it all ourselves for our own sites, and for all of our client sites that were paying us for SEO. John and I and a very small team of people were doing all the search engine optimization including keyword research, and meta tags. And you may or may not know or care what any of these things are, other than the fact that it’s [LAUGH] a lot of work. So, we don’t do that anymore. And it took a long time for me to be convinced that we don’t need to do that anymore. And one, we found a fantastic partner, but second I saw this graph. John Williams: Well, and when she says we don’t need to do that anymore, we need to do that anymore, we personally don’t need to do that anymore. John Williams: Stuff still needs to be done. Paula Williams: Right, so we found a fantastic partner who could do it for us And the other thing is we saw this graph, which shows the number of Google algorithm changes per year. And up until 2011, there were fewer than 20, well actually fewer than 10. 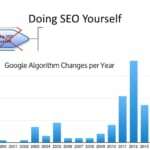 Google Algorithm changes per year so that’s almost reasonable for a human being to keep track of and understand and adapt to and make all the changes to all of the websites. John Williams: And those are major changes. John Williams: They do minor changes, tweaking throughout the year. In 2012, they made more than 30 algorithm changes in 2012. And then 2013, 2014, 2015 they’ve made fewer than that. But what I’ve found is that they’re bundling a larger number into those changes. So those changes are bigger and have more impact, but they’re happening at more regular intervals so they’re almost doing a release theory. How Microsoft started doing Office 20 whatever and then they will bundle all the changes into the next version and things like that. So Google has started bundling their algorithm changes but there’s still way too many of them for a human being who has any other kind of a job to keep track of and understand and implement, right? John Williams: And even if you have understand a given change, when you go look at your website and realize that you’ve gotta go hit each and every page multiple time in different places in the code. It’s just very onerous. Paula Williams: Right, exactly, so. John Williams: Makes you tired to think about it. Paula Williams: It does [LAUGH] your time is better spent doing just about anything other than. Paula Williams: Doing search engine optimization. 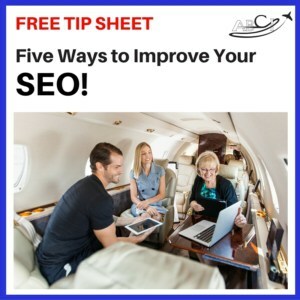 Paula Williams: The main thing that really tipped the scale for me is I noticed that last year, our sales were actually down, because I was spending so dang much time working on search engine optimization and charts and graphs. And tracking all of this stuff, and keeping track of everything and changing all the pages and doing everything that we needed to do. And part of that was probably subconscious just because it’s more comfortable for me to be messing with spreadsheets and doing all that stuff than it is for me to actually be getting on the phone and making sales calls. John Williams: True, you like me to do the spreadsheets. Paula Williams: That’s true, you do the spreadsheets. Paula Williams: Then it ends up being a lot of revising of web pages and other kinds of things, revising of metadata and things like that. So that kind of work is more comfortable, so I was finding more ways to avoid doing sales calls cuz I was just too busy, right? Our sales numbers went down, which is disastrous, our main focus is to do sales, right? 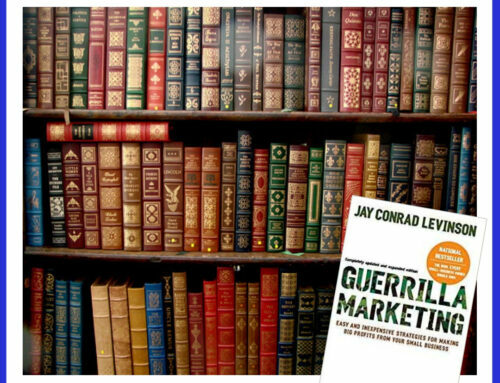 And the main focus of just about any sales and marketing organization within any company Is to make more sales. If you don’t make enough sales, there’s no reason for the company to exist. Paula Williams: So if you’re not spending enough time selling because you’re monkeying with your search engine optimization like we were, it is time to do something different. And then the other thing is vacationing. We have gone on two vacations so far this summer. For more than four days at a time, and that was unthinkable last year. Paula Williams: With our search engine optimization cuz Google’s going to change something, I’m not going to know about it. I’m not going to be in time to make the adjustments, and everything is just going to plummet. John Williams: Well, at least it would be it could been disastrous, but we don’t do that anymore. Paula Williams: Exactly, so outsourcing your search engine optimization was really a good decision for us. And we also are acting as a partner with a search engine organization that does the nerdy work for us. Paula Williams: We do the intellectual stuff we make sure that it make sense from an aviation perspective. And the aviation vocabulary and everything else is still there. But we, [LAUGH] we don’t do the day to day maintaining of websites to make sure that they stay where they need to be. John Williams: Nope, these guys are on the front lines. 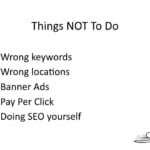 Paula Williams: Exactly, okay, so things not to do, wrong keywords, right? Paula Williams: We talked about that. Wrong locations. Paula Williams: Yeah, putting your Mona Lisa in a closet somewhere, in the wrong place. Banner ads. Paula Williams: Not good, because people have ad blindness and they also use ad blockers. John Williams: If somebody tells you they have a good ROI on pay per click, tell them you want to see all of the real numbers. John Williams: [LAUGH] And when they look at it, they’ll say wow, I thought we were doing better than that. Everyone we’ve talked to. John Williams: And do anything else. Paula Williams: And do anything else really well, right? 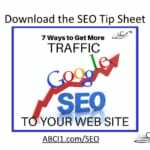 Okay, so download our SEO tip sheet from ABCI1.com/SEO and you may also want to see, if you already have enough people visiting your website. 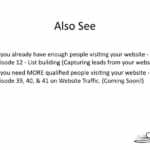 But you’re not capturing any of their lead information and you’re not making enough sales, you may want to look at Episode 12, about list building, capturing leads from your website, all right. And if you need more qualified people visiting your website, you’re also going to want to see episode number 40 and 41 on website traffic, coming soon, all right? So go sell more stuff. 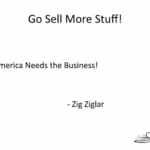 John Williams: Yep, America needs the business, so says Zig Ziglar. Paula Williams: Absolutely. Subscribe to our podcast on iTunes, Stitcher, and Google Play. Make sure you don’t miss anything, and please do leave us a review. Thanks for joining us.